My education and training background in Counselling was with Staffordshire University. The MSc Psychotherapeutic Counselling was an integrative approach, based on Prochaska and Norcross’ Transtheoretical Model of Change (TTM). The TTM has as its central tenet that all counselling theories have common ground – the process of change. They explore the how, when and what to change and suggest the use of major theories at different stages of a client’s development. My Integrative Counselling training and qualification has given me the knowledge and experience to know how to work with people that present themselves for counselling. I am passionate about the work I do and believe in clients having the potential to change, given the right environment to do this. 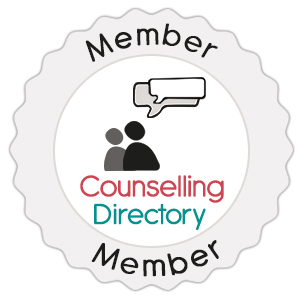 My counselling placements whilst in training and post qualification have included working for Victim Support (4 years), Stafford and District Bereavement and Loss Service (6 years), Dove Service (12 months) and Emerge working for adult survivors of childhood abuse (12 months). I then moved into working in the primary sector with people referred to the service for depression and anxiety (6 years). This is when I began my training in Cognitive Behavioural Therapy to add to my skills thus far. I wanted to be able to help as many people as I could and realised that in order to do this I would have to further my knowledge in other approaches. I abide by the BACP Framework for Good Practice in Counselling and Psychotherapy in my work with individuals. BACP also demand a commitment to monthly Supervision and Continued Professional Development in order to maintain good practice, update my knowledge and enhance my existing skills when working with individuals. DBS Enhanced Check completed September 2017 (previously known as CRB).